Based in a busy government office off Warbreck Hill Road, Blackpool driving test centre is relatively moderate in size. As with many other driving test centres in Lancashire, Blackpool test centre is the starting point for many learners each year. As such, it's definitely worthwhile getting to know it better. Read on for directions, pass rates, test routes and much more about Blackpool. Around 10 minutes from the centre of Blackpool, learners can reach Blackpool test centre easily from the A587 and Bispham Road. If you’re getting ready to head on down to Blackpool test centre for the first time, just follow these directions. No matter how hard you look, you won’t be able to find an exact test route for Blackpool test centre. The DVSA no longer publishes routes as a preventative measure to candidates memorizing routes for their tests. 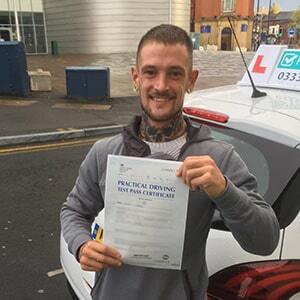 You can, however, get an idea of what's likely to show up by looking at videos of Blackpool test routes on YouTube or by downloading our sample Blackpool driving test routes. If you’re learning with a local or experienced instructor, not only will they take you on the most challenging road types Blackpool has to offer, they'll also introduce you to the roads most likely to crop up on your test. There’s not really much to complain about with Blackpool’s pass rates in recent years. They skirt above and below the national average—considering the centre’s proximity to such a busy, urban area, this is pretty impressive nonetheless. What If I Can’t Go To Blackpool? Lancashire has a range of test centres for learners to take their practicals at. If you can’t head to Blackpool, your closest alternatives are Preston and Heysham. Hate waiting for results? You’re in luck—you find out whether you’ve passed or failed as soon as you get back to Blackpool test centre. You'll also get your hands on the feedback sheet that will list any of the faults you made. 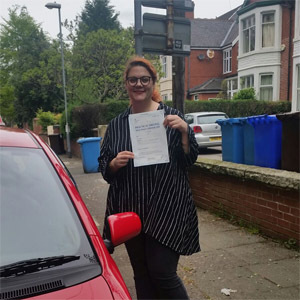 If you do pass, you get a test pass certificate and you can hand in your provisional licence to send off for your new licence. Failing your driving test is far more common than you’d think. That’s why you shouldn’t give up. Think of failing as a learning experience and use your feedback sheet to improve your driving. If you’re serious about retaking your test, PassMeFast can speed up the process by fast-tracking your practical. And with our refresher courses you can iron out all of those mistakes. Interested? Give us a call on 0333 123 4949 or contact us via our website. Traditional hourly driving lessons are a thing of the past nowadays. Instead, intensive and semi-intensive courses are in. With PassMeFast, you can learn all your essential driving skills and get on the road fast. 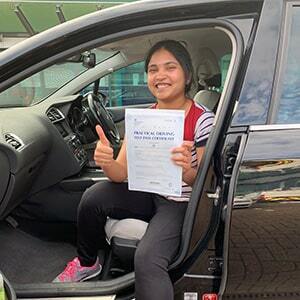 Driving test waiting times are practically obsolete with our fast-track practical tests—which we offer to learners across the UK. Simply take a look at our course prices to see our 9 tailored crash courses. Once you’ve got a rough idea of what you want, call 0333 123 4949 to speak to one of our sales team members. Alternatively, book a course online and take one step closer to getting on the road.